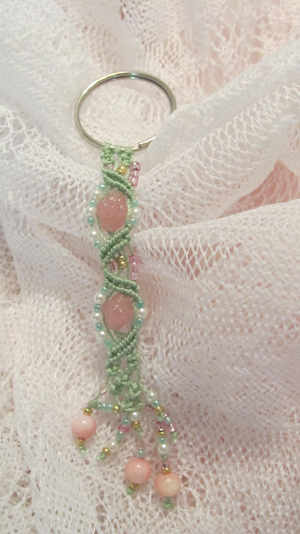 This micro macrame pattern is a fun way to practice the diagonal double half-hitch knot. It works up quickly and is a good piece to work in various colors. How about making it with your favorite sports team colors?